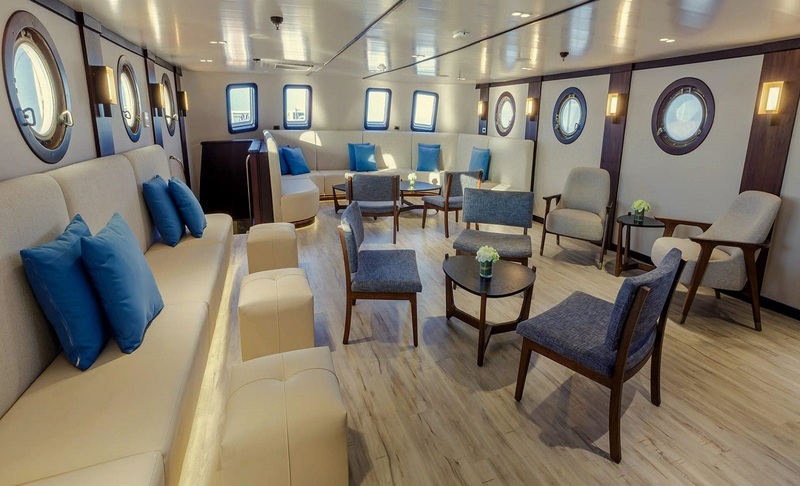 The luxurious M/V Evolution accommodates 32 passengers and is an elegant ship for your Galapagos adventure. 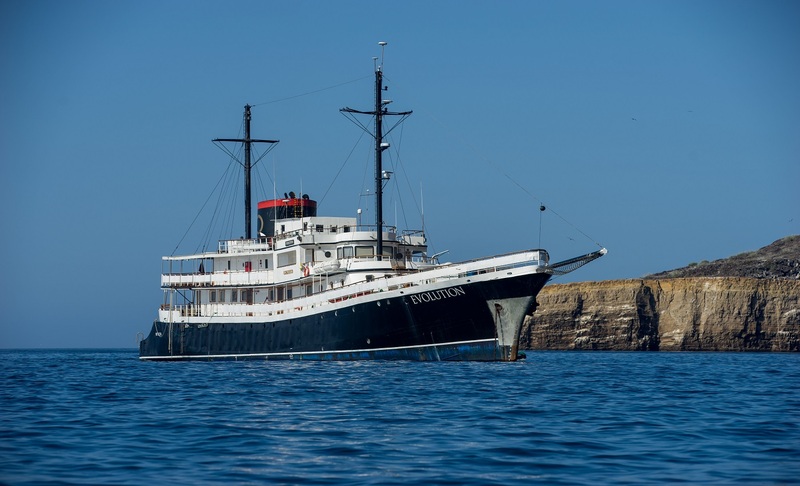 This cruise takes you from Santa Cruz Island through to the western islands of Fernandina and Isabela before making your way to Floreana, Espanola and San Cristobal. 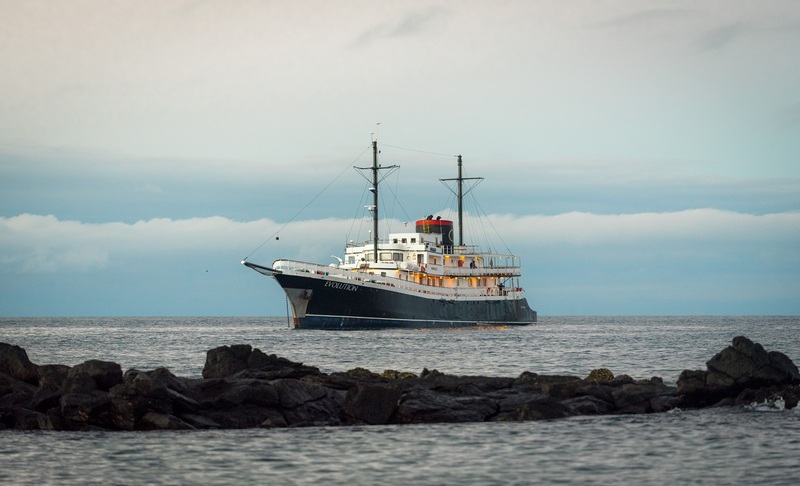 Over 8 glorious days you will experience all the wonderful flora and fauna of the Galapagos Islands. 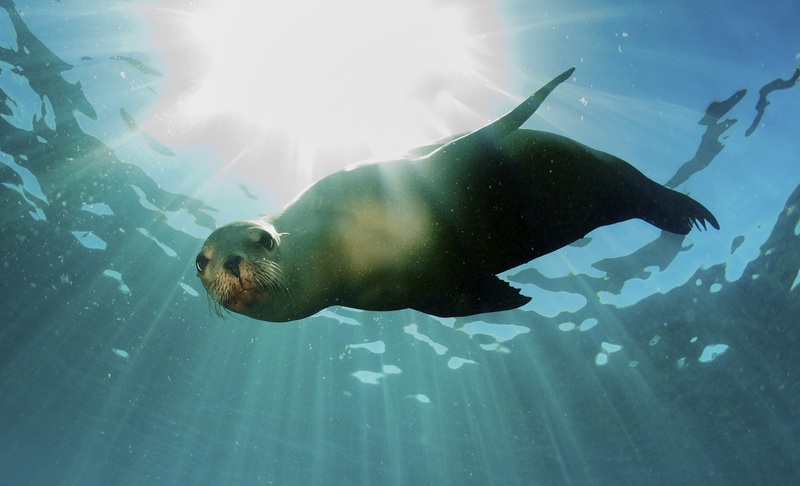 Enjoy swimming and snorkeling amongst the playful sea lions and rays. Stroll along the spectacular white coral sand beach and enjoy the beautiful landscape of the Chinese Hat Islet. Visit North Seymour Island to see the largest nesting site of the magnificent frigate bird. Stopover at Santa Fe to see sea turtles and get a glimpse of the Galapagos White-tipped Shark in one of the oldest island in Galapagos. See a range of marine species including a variety of corals, pencil sea urchin, wrasses, angelfish, amberjacks and many other creatures. 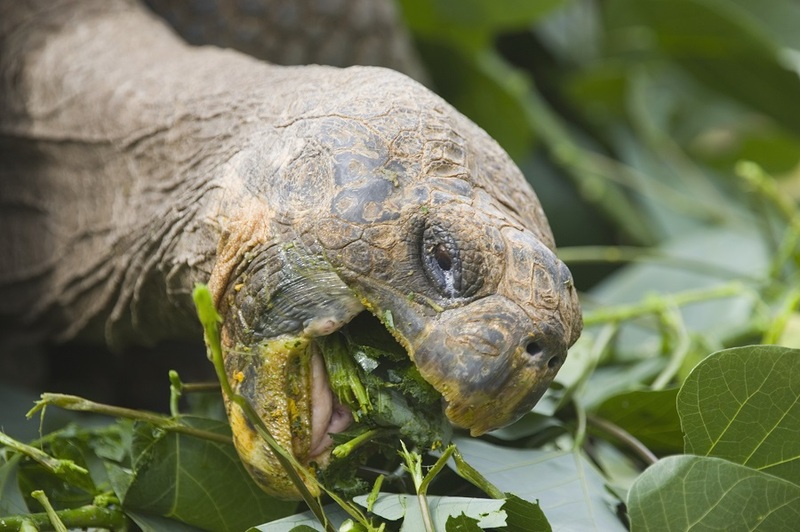 Visit Wild Land Tortoise Reserve and spot the giant tortoise in one of the best places in the Galapagos. 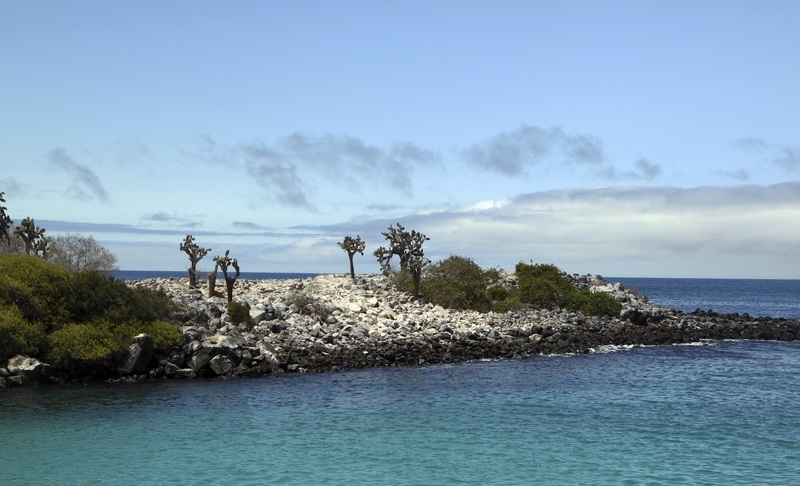 Today, fly to San Cristobal Island in the Galapagos in the morning. Flight time is just under two hours from the mainland. 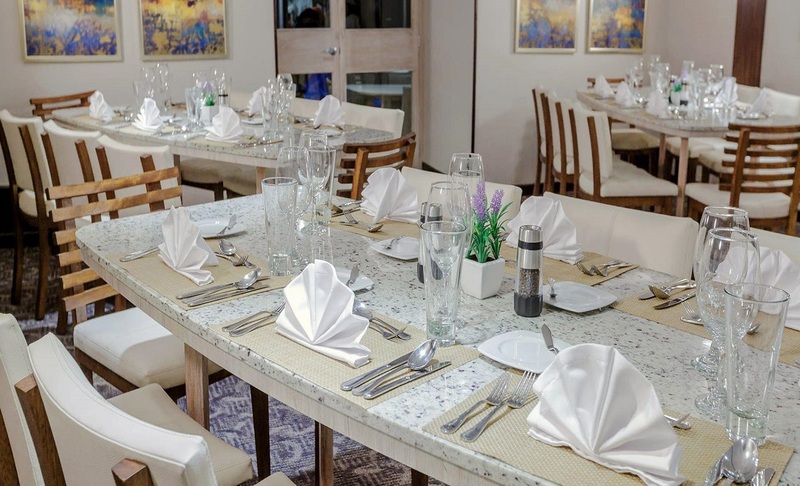 Upon arrival we board M/V Evolution where you will have lunch and a quick briefing en route to our first visitor sites: Isla Lobos. 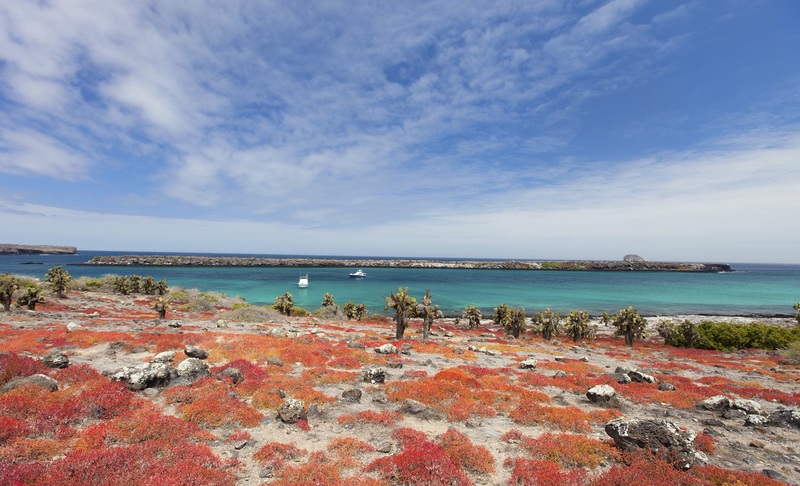 In the morning, visit South Plaza Island - one of the smallest yet most colorful islands in the Galapagos. Yellow land iguanas wander through bright red carpet weed, waiting from prickly pears to drop from green cactus. 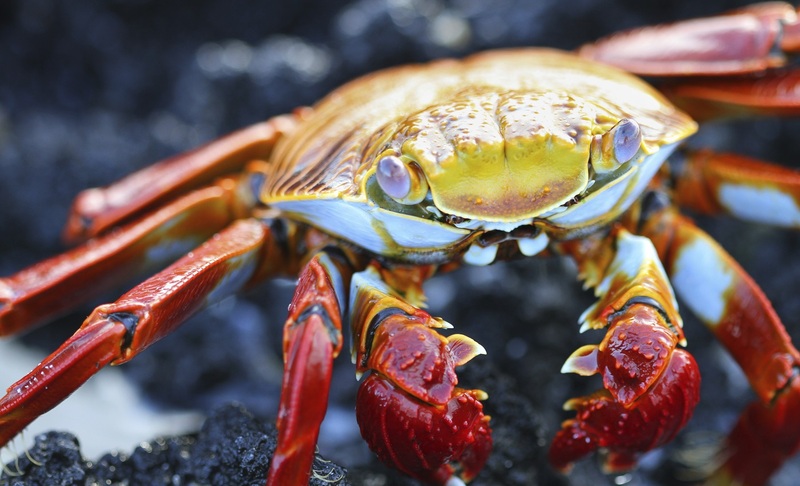 Orange sally lightfoot crabs dot the blackened lava above the landing site, all surrounded by turquoise waters. We'll see swallow tailed gulls nesting along the up-tilted end of the tiny island, while red-billed tropicbirds, frigatebirds and shearwaters fly in dancing displays. 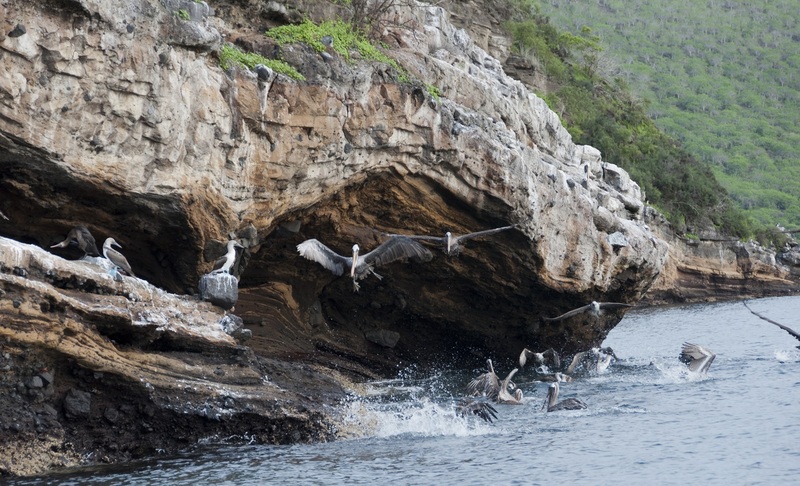 You''ll also have the chance to see blue footed boobies along the cliff's edge. 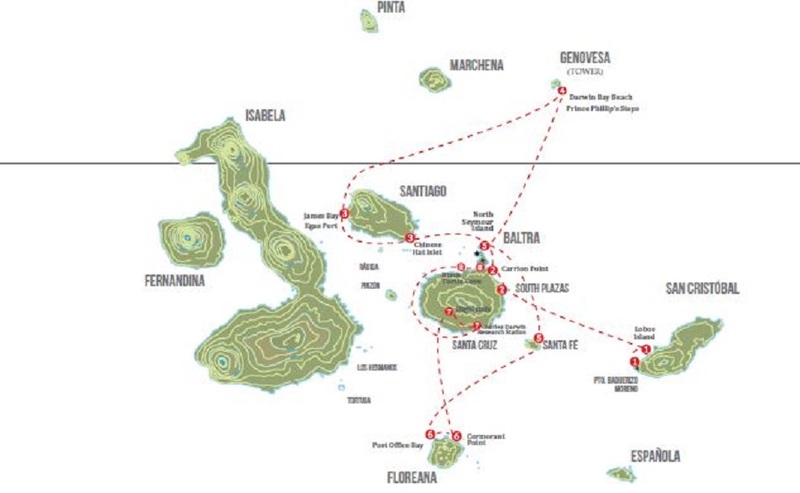 In the afternoon, go snorkelling at Punta Carrion followed by a visit to Mosquera. While Mosquera is little more than a large sandbar, it is home to a playful colony of sea lions. Morning visit to Chinese Hat Islet, a fairly recent volcanic cone; it has the shape of a down-facing Chinese hat. On the rocky shoreline of nearby Santiago, Galapagos penguins are often seen. There is a small sea lion cove on the north shore, where boats anchor and land at the visitor site. Late morning snorkelling with sea lions and penguins and swimming opportunities in the cove. Afternoon visit to James Bay, where you willl land on a black beach with intriguing eroded rock formations. A trail leads to a series of crystal-clear grottos with a natural bridge formed of broken lava tubes. 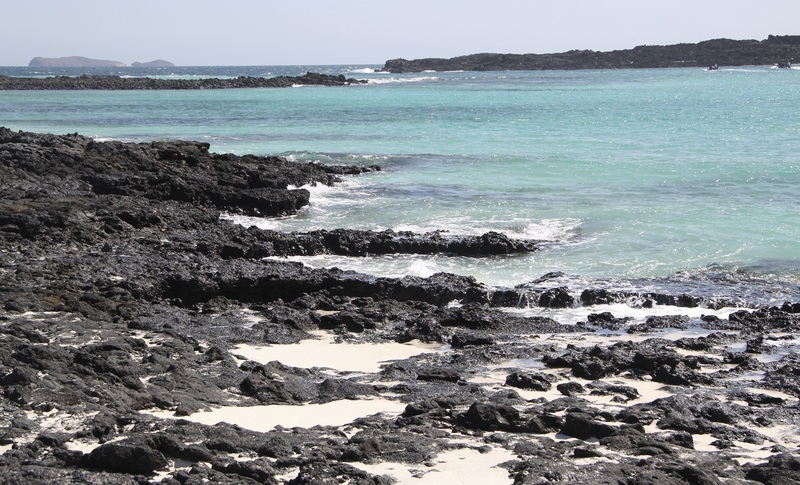 This is the best place in the Galapagos to see fur seals and equally best place to see samurai like marine iguanas feeding in tidal pools nearby. You will find a colony of sea lions here and Galapagos hawk frequent the area. Snorkelling offers encounters with Green Sea Turtles and tropical fish. Take time to kayak beside the walls of the sunken caldera before your afternoon visit to Prince Philips Steps. This is the best Galapagos landing site to see red footed boobies, comically perched by wrapping big red feet around tiny branches. We walk a short distance to seek out short eared owls preying on swarms of storm petrels. The snorkelling at the foot of the steps is amazing with large, brightly coloured tropical fish taking on a neon quality against the black lava background. Afternoon visit to Santa Fe Island, home to one of the most beautiful and sheltered bays of the archipelago, and to some of the best snorkelling - with its crystal clear waters. 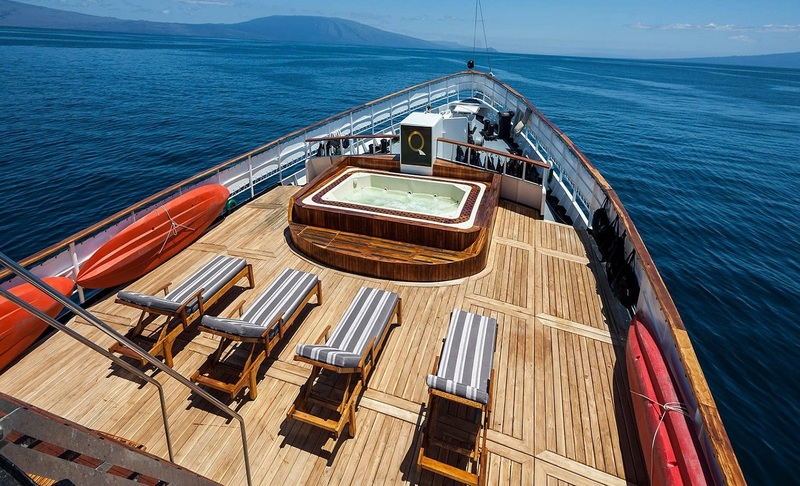 Certainly one of the best locations to see sea turtles, swim with sea lions and glimpse of the Galapagos White-tipped Shark. 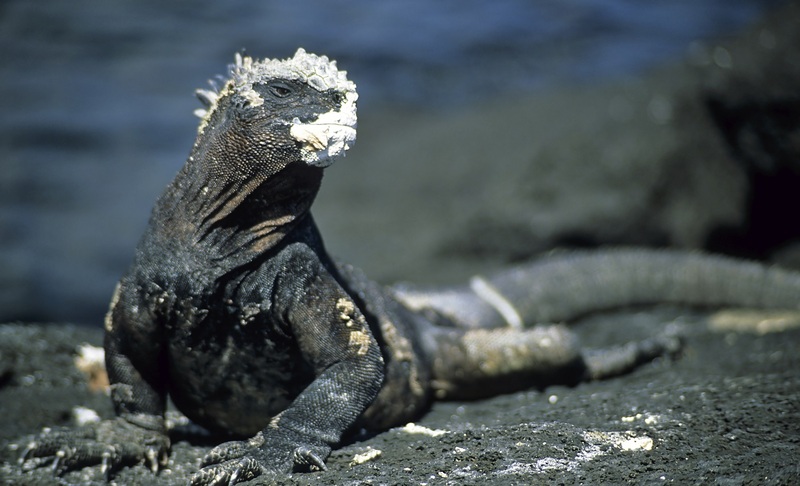 After a wet landing, you will walk up to a nearby cliff to see the land iguanas through an area of Opuntia Cactus. Floreana has had a colourful history: Pirates, whalers, convicts, and a small band of somewhat peculiar colonists—a Baroness among them—who chose a Robinson Crusoe existence that ended in mystery and death. We visit Post Office Bay, where in 1793 British whalers set up a barrel as the island's Post Office, to send letters home on passing ships. A stairway leads down into a natural lava cave where you can literally swim in a grotto under the ocean! After lunch, visit Punta Cormorant which offers two highly contrasting beaches; a green-olivine beach and an iron-red beach. Between the two beaches is a salt lagoon frequented by flamingoes, pintails, stilts and other wading birds. Late afternoon snorkelling at Devil's Crown, which is home to a myriad of marine species including a variety of corals, pencil sea urchin, wrasses, angelfish and amberjacks - making for some of the best snorkelling in the Galapagos. Santa Cruz is the second largest island in the Galapagos and its capital, Puerto Ayora, is the economic center of the Islands. In the afternoon, visit the Charles Darwin Research Station to visit the Giant Tortoise and Land Iguana Breeding and Rearing Program. Here used to be home to the famous Lonesome George (now deceased), the last of his particular race of tortoise. Afternoon visit to the Highlands, where the dry coastal vegetation transitions to lush wet fields and forests overgrown with moss and lichens. 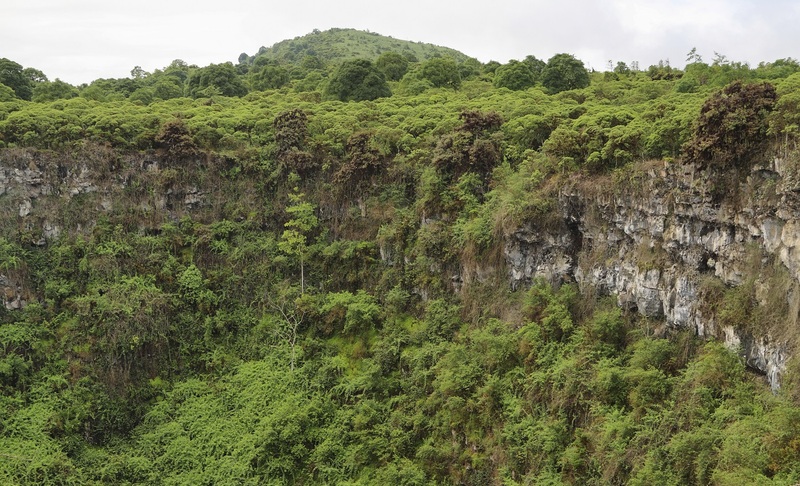 Your next destination is the Tortoise Reserve, where you will have chances see these animals in the wild and explore a lava tube. 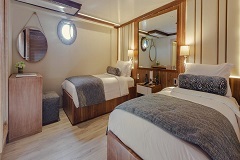 In the morning, take a visit to Black Turtle Cove before heading off to the Airport. This beautiful mangrove estuary where you will drift along on pangas to spot eagle rays, diamond shaped mustard rays, white-tipped reef sharks, pacific green sea turtles and a large variety of shore birds. Afterwards, transfer to Baltra Island airport for your flight back to the Ecuadorian mainland. 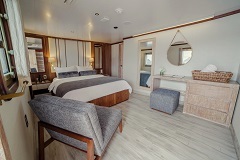 16m-19m², 2 single beds or 1 queen bed, located on darwin deck, porthole, private bathroom, bathroom amenities, shower, storage space, safe, A/C. 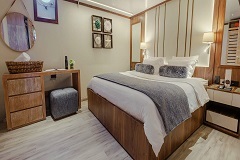 15-18m², 2 single beds or 1 king bed in rooms C2, C3, C6, C7 & C8, queen bed in rooms C1, C4, C5, C6, C7 & C8, located on cormorant deck, porthole, private bathroom, bathroom amenities, shower, storage space, safe, A/C. Extra bed available in rooms C1, C2, C6, C7 & C9 on request. 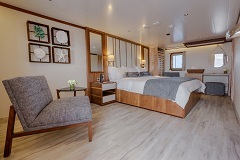 18-18.8m², 2 single beds or 1 queen bed or 1 king bed, located on albatross deck, window, private bathroom, bathroom amenities, shower, storage space, safe, A/C. 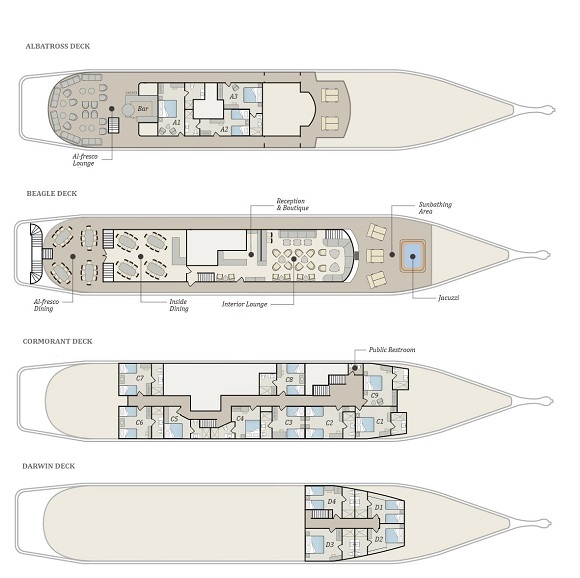 24.4m², 2 single beds or 1 queen or 1 king bed, located on albatross deck, window, private bathroom, bathroom amenities, shower, storage space, safe, A/C, reading area. 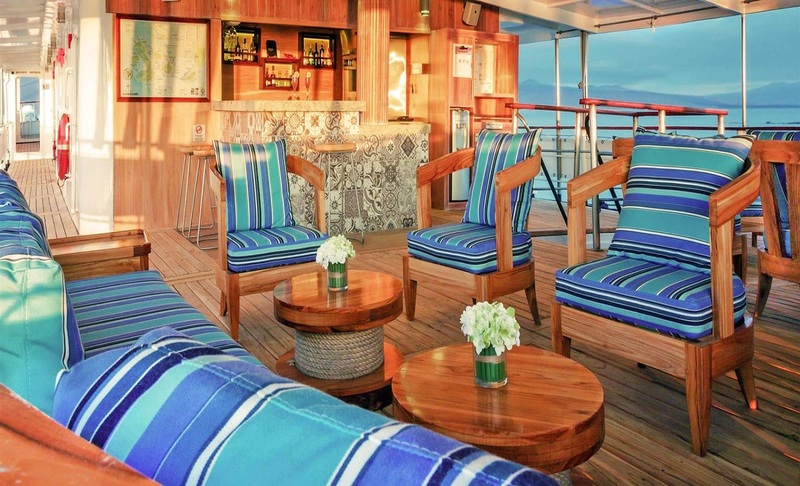 Crew: 18 plus up to 2 naturalist guides & 1 cruise director. 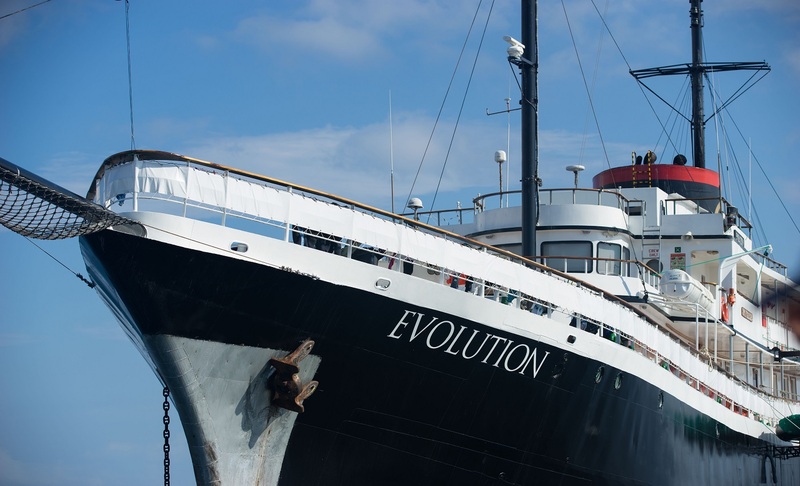 *The M/V Evolution will be dry-docked from August 19th - October 21st.